Easy to Read & Hard to Break Mobile Phones. Keeping it Simple & Connected for Everyone. 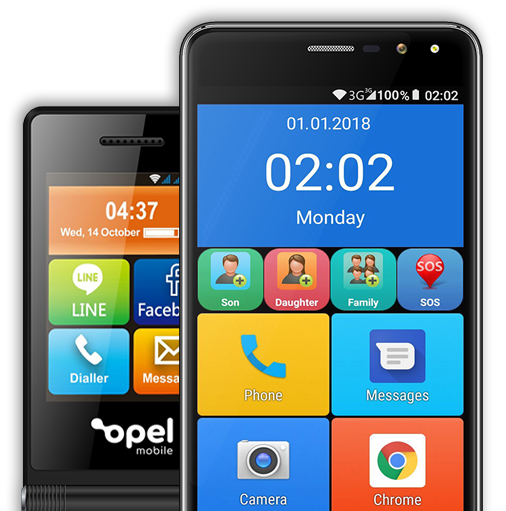 Australia's top rated phone for seniors. Here are just some of our 5 star reviews. If your job entails moving objects around that could potentially break ur iPhone screen, then you will be very happy if you purchase this product, you can place it anywhere, on ur tools shelf and MY it rings so loud unlike the smart phones that you wont hear ringing while the vacuum cleaner is on. The buttons are soft, the screen brightness is good too. All apps run smoothly. 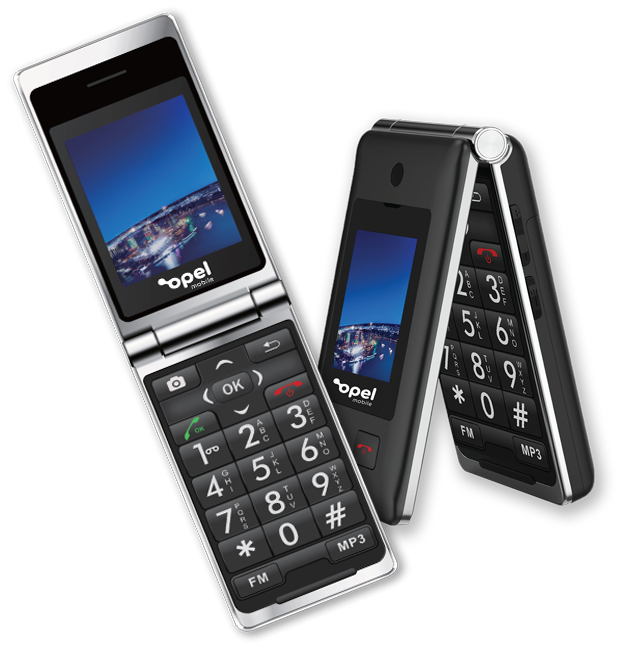 I bought my wife the Opel big button phone and she loves it but at the same time I bought myself the opel flip phone. I have to say another great value for money phone. Never heard of these guys before but they are both great no frill phones. If you want a phone that works as a phone then the flip phone is the way to go...easy to read buttons and no unnecessary apps. Great little phone. I have been wanting a phone like this for awhile and hadn't been able to find in stores until now. A is a very simple and easy to use no fuss phone without any those unnecessary apps. Battery life seems to be exceptional as well. Thank you. Our phones are tailor-made for the elderly, kids and anyone else that wants an easy to use phone. Big button functionality, easy to read screens, a robust build & none of the software app’s you don't need - we'll keep your loved ones connected. Our SmartBigButton phone blends smart features with ease of use. It's an all-round performer suited to the unique needs of seniors, the vision and hearing impaired and children. With Opel Mobile you'll get all the apps and functionality you expect from a phone, with thoughtful inclusions like big buttons, SOS and social media to name a few. I bought this for my partner as he has trouble with the smaller phones also had trouble not able to hear them without the Head speakers on which he hated to use but with this big button phone is great it is louder and much more easier for him to use. Not everyone needs a smart phone. That's why Opel Mobile offer a variety of easy-to-use phones in varying styles to suit all tastes. 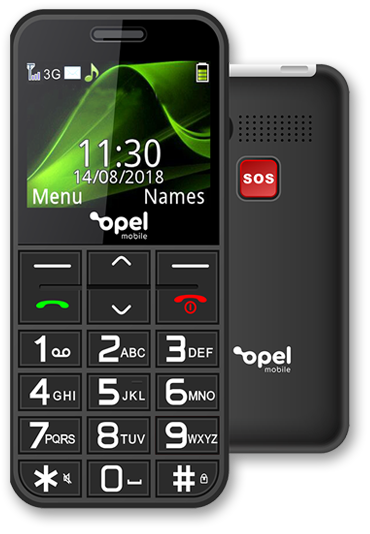 Choose from your conventional smart phone through to a classic flip phone through to a phone with big physical buttons that can be either smart or non-smart - our product range caters to all needs and tastes. Great phone for my dad, He's 82 and struggles with mobiles but he's able to use this one with no problems. I bought this phone for my Nanna as she only needed something simple to use. Best phone she has ever had. Super easy to use, loud enough for her to hear as she has hearing aids and has big buttons for her to see and press. I love the SOS feature if she is in need of help, peace of mind for me. Great phone for my Mum. Light weight, easy to use, easy to recharge and a long lasting battery.